Journalists are not highly regarded. In fact, they are down there with politicians and used-car salesmen. Every now and then we see someone who proves this attitude to be simplistic. That someone invariably reminds us that one of the pillars of democracy is a free press. 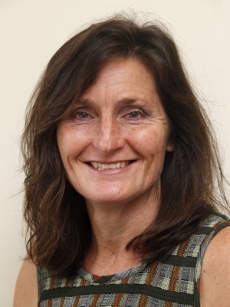 Newcastle Herald journalist, Joanne McCarthy (pictured above) is such a “someone”. This entry is just for the record, if this blog becomes a resource for anyone writing an historical account of the Royal Commission. It is to ensure that Ms. McCarthy’s role in getting the Royal Commission is fully acknowledged. An example of her articles is given below. Typically, her articles have been thoroughly researched, so much so that Detective Fox referred to her as being more of an “informant” than a journalist. She will have been traumatized by what she has heard, as anyone in a similar position will attest, including the head of the Forde enquiry, Leneen Forde. This author remembers hearing a young woman journalist, after interviewing three women about their experiences in a children’s home, saying she kept bursting into tears every now and then, for days afterwards. Often the frontline journalist who interviews victims is encountering hearing the reality of the evil of child sexual abuse for the first time. There is no pre-counseling. So, taking a somewhat moralistic stance, it would be best if, when we see gutter journalism, to remember that, as with everything, there is always a full spectrum in play. For her reporting on the Newcastle abuses, Ms. McCarthy, last year was awarded the title of “Graham Perkin Australian Journalist of the Year”.